The judgment of the Court of Appeal in Littlejohns and Littlejohns v Devon County Council and the Duchy of Cornwall, handed down on 6 May 2016, tries to settle the vexed question of whether rights of common can be acquired by prescription after 1970, over land which was already registered common land. It's best to start with the background in my previous blog, where you may, if you wish, also read about the judgment in the High Court. The appellants, Mr and Mrs Littlejohns, were fortunate, in both this court and below, to have Nicholas Le Poidevin QC acting for them: Mr Le Poidevin is the former deputy Commons Commissioner with considerable experience in this area. But in the event, by a two-to-one majority, the Court of Appeal has upheld the judgment of the High Court, and found against the appellants. Accordingly, subject to any appeal to the Supreme Court (and the brief report on the Landmark Chambers website states that permission to appeal was refused by the Court of Appeal: it could still be granted on an application to the Supreme Court), the law is that no rights of common can have been acquired by prescription over registered common land since 1970, and any commoner who (as did the appellants) continued grazing after 1970 without having registered any rights of common, cannot point to any legal authority for doing so. The appellants' circumstances are not unique: this case was taken as far as the Court of Appeal not least because there are others who are seeking to resolve precisely the same point of law applicable to their own circumstances. Some of them may have pending applications with the defendant authority, or another pioneer commons registration authority, to register other rights of common said to have been acquired by prescription in the same way. There are surely a good number of commoners who exercise 'rights of common' which are founded in long-standing practice originating with previous generations, but, for some reason or other, the rights were not properly registered under the Commons Registration Act 1965 ('the 1965 Act'). And there will be others who do not seek to justify their grazing in long-standing practice, but nevertheless have increased their grazing activity beyond what was registered under the 1965 Act, and now hope to acquire permanent recognition for it through prescription. Last week's judgment ensures that they will be disappointed: indeed, in some cases, the judgment could threaten the viability of upland holdings where the farmer has come to rely on the use of those rights. The Chancellor of the High Court, an ex officio judge of the Court of Appeal, Rt Hon Sir Terence Etherton, gave the dissenting judgment, and in my view, gets it right, so we will start with the Chancellor. Much of the Chancellor's judgment includes a summary of the background and statutory provisions (paras.1 to 34) and the judgment of Lang J in the High Court (paras.35 to 48). In his overview of the appeal (paras.51 to 72), the Chancellor gives considerable attention to the recommendations of the Royal Commission on Common Land, reporting in 1958, and how the 1965 Act followed, but also departed from, its recommendations. The Chancellor observes that the defendant authority's case relies on the abolition of prescription by the 1965 Act. He says (para.76) that such a significant change to property rights ought to be effected by specific words, and focuses on s.1(2) of that Act, which is the only provision to which such consequences could be attributed, but he finds no such words present (para.77). Nor were there any words of comfort in the Parliamentary proceedings on the Bill in Hansard (para.78). Even the Commons Registration (New Land) Regulations 1969, which provide for the registration of new rights of common under s.13 of the 1965 Act, fail to explain why an application cannot be made to register rights over existing common (para.79). If s.1(2) does not abolish prescription, the Chancellor considers whether s.1(2) has the effect that a right acquired by prescription is abolished at the very moment when prescription matures into a right? This would be after 20 years prescription, based on a 'lost modern grant' — the legal fiction that the prescriptive practice can be attributed to a former grant made by the person prescribed against (in this case, the owner of the common) which has since been lost. But he finds that s.1(2)(b), which extinguished unregistered rights of common, applies only to rights already in existence in 1970 (para.81) — were it otherwise, here too the effect would otherwise be to abolish prescription without clear words to that effect (para.82). The Chancellor derives (para.83) some comfort from the date set by order at 31 July 1970, as the date on which unregistered rights of common were extinguished under s.1(2)(b). If the intention was that s.1(2)(b) should apply to all rights, whenever created, rather than those capable of being registered by the closing date for applications for registration under s.4 of 2 January 1970, it should have had effect on any right created after it became too late to register it, on 2 January 1970, and not on 31 July 1970 [though in my view, this may pay too much respect to those who drafted the SIs]. The Chancellor notes the argument (para.84, also expressed in my previous blog) that there is a circularity between s.1(2) and s.13. If we think of s.13 in relation to new rights of common acquired over previously unregistered land (an unlikely scenario these days, but let us suspend scepticism), the new rights become registrable under s.13 after 20 years use as of right (on the basis of a presumed lost grant). [He does not say, but it might be put like this: if s.1(2) has continuing effect, those rights, supposedly maturing on the last day of the 20th year, are immediately extinguished "unless they are registered". Is the commoner to register them at the stroke of midnight on that last day of the 20th year, before s.1(2) does its worst an instant later?] Accordingly, the Chancellor finds (para.86) that s.1(2)(b) extinguishes only rights which existed and were capable of registration on or before 2 January 1970, and inevitably, that s.1(2)(a) (which deems unregistered land to be neither common land nor town or village green) has similar effect (para.85). In other words, the Chancellor thinks that s.1(2) has a 'big bang' effect, wipes the slate clean of anything which could have been registered prior to 2 January 1970 but was not registered (commons and greens could however be registered by the registration authority on its own protective initiative up until 31 July 1970), but has no further continuing or prospective impact. He notes (para.85) an oddity if s.1(2)(b) has continuing effect: s.1(2)(a) cannot have the same continuing effect, else no land could ever become common land, and s.13 would be largely redundant. The Chancellor recognises (para.87) that the 1965 Act was, at least so far as common land and rights of common are concerned, a staging post to comprehensive legislation, and it is not necessary to ascribe to the 1965 Act an intention of establishing a 'conclusive and comprehensive register' which had to await further legislation under the Commons Act 2006 ('the 2006 Act'). Interestingly, the Chancellor identifies a now oft-forgotten objective of the Royal Commission: to provide for improvement and agricultural intensification of common land where appropriate. That is not to say that the Commission wanted to resurrect the inclosures, but it did not view all commons with a dewy-eyed perspective of preservation. The Chancellor quotes (para.57) the Commission's report: "…we assume that, given the right circumstances, commoners who have pasture rights will generally endeavour by the better stocking of their common to attain the same level of economic production that has been achieved by the rest of the agricultural industry…". The Chancellor is convinced (para.88) that the 1965 Act was not intended to fly in the face of the Commission's perspective, by removing the mechanism of granting new rights (whether by prescription or express grant) over a registered common. And he finds nothing in the 1965 Act nor the 2006 Act which interferes with his conclusions. The Chancellor also observes that s.13 did enable amendment of the registers to take account of a variation in a registered right of common, and considers that such a variation could embrace an enlargement of the right (para.89): there was "quite simply no discernible reason" why the 1965 Act should have allowed this, but turned its face against the grant of new rights. The Chancellor accepts the widely-held belief that the 1965 Act was poorly drafted, and concludes: "the 1965 Act should be interpreted so far as possible to give effect to a coherent policy, consistent with the objectives of the Royal Commission". But the Chancellor is in a minority. Lewison and Tomlinson LJs do not agree, and as a majority, they find for the defendant authority. Lewison LJ opines that the 1965 Act was intended to establish definitive and conclusive registers. He refers (paras.113 to 114) to the report of the Royal Commission in pursuance of that objective [which undoubtedly is what the Commission intended], and (para.115) to the explanatory notes to the 2006 Act, which says, "The 1965 Act was intended to establish definitive registers" [my italicisation: it is in any case quite worrying if judges are going to pray in aid quotations from Explanatory Notes to Acts, given the minimal effort put into writing them nowadays]. But the judge admits (para.117) that, "the Act did not precisely implement all the Commission’s recommendations", and quotes Mr Le Poidevin describing it as 'half-baked' (para.124). Lewison LJ finds (para.132) that s.1(2)(b) simply extinguishes any unregistered right of common which would otherwise be exercisable over registered common land. He thinks (para.137) that, were it otherwise, the system of registration established by the 1965 Act would be "all but pointless". He relies for support on Lord Hoffmann in The Trap Grounds. [I would say that the 1965 Act was not intended to be the last word in registration — it took another 40 years to achieve that. As for the Trap Grounds, the courts accepted that the provision in the 1965 Act for the registration of greens was somehow different, and final: there was no need for further legislation (were it otherwise, we would still be waiting for a legal right of use of new greens registered under section 13): Lord Hoffmann said (para.48, Trap Grounds): "It is by no means clear that Parliament contemplated further legislation about rights over village greens." He did not suggest for a moment that the same conclusion would be justified in relation to common land, and rights of common. Lewison LJ accepts that the 1965 Act did not compel amendments to the registers to keep them up-to-date, so undermining the argument that the registers were intended to be conclusive. So he takes comfort from concluding (para.139) that, "at least the register will reflect the maximum burden to which the registered common is subjected" [but not if the Chancellor is correct that a variation under s.13 might increase the burden]. He refers to the anomaly that a farmer who has an express right granted in 1955, but fails to register the right, would have lost it for want of registration in 1970, and by 1975 would have nothing to show for his 20 years grazing. But a neighbouring farmer who started grazing in 1955 as of right would have acquired a (non-registrable) prescriptive right in 1975, and would be better off than his neighbour who relied on the express grant. Apart from the odd discrimination between these two farmers, it gives rise to a legal anomaly: the neighbour's claim to a prescriptive right relies on a lost grant made on or before 1955. If such a lost grant really did exist, then it was indeed registrable in 1970, and must have been extinguished for want of registration. The Chancellor, in his judgment (para.96), got round this by asserting that a claim on the basis of prescription could therefore not rely on any use prior to 1970 (it would have to be 1970 onwards to at least 1990); Lewison LJ, not unreasonably, criticises that approach as putting a gloss on the legislation which is not there. Lewison LJ is not impressed with arguments that his finding allows for interference with property rights without clear words in the legislation. He says that the 1965 Act clearly did interfere with property rights [i.e. in general terms, those of commoners and landowners]; prescription itself interferes with the landowner's property rights; landowners may, if they wish to expressly grant rights in the face of the court's finding, do so by granting a leasehold term which is not registrable and therefore not affected by s.1(2)(b) [but would such a right be exercisable competitively alongside other commoners with 'real' rights? ]; there is no interference with the landowner's other interests, such as to grant easements [this hardly seems relevant]; in promoting the Commons Bill in Parliament, the Minister accepted that there was controversy over whether prescriptive rights could still be created [indeed — but this is, as I commented in my previous blog, agnostic evidence: Parliament was leaving it to the courts to decide]; and the Royal Commission wanted no further claims in respect of registered commons [leaving aside whether the Commission's recommendations were given proper effect, one questions whether the Commission had in mind claims which could not even be made at the cut-off date for registration]. Lewison LJ concludes that, "If Mr Le Poidevin is right then the [1965 Act] register is virtually useless". ● the alternative approach subscribed to by the Chancellor would involve an anomalous treatment of rights acquired by lost modern grant. In my view, the Chancellor, in his judgment, gets under the skin of the 1965 Act and better understands the scheme of that Act — to the extent that it had a scheme. Nevertheless, unless there is an improbable appeal, the matter has now been decided. One can only wonder what will happen to the Littlejohns' grazing activity on Okehampton Common and the Forest of Dartmoor. The court has decided that their grazing can have no lawful origin. Yet the landowner, the Duchy of Cornwall, has taken no part in the proceedings. Will the landowner, or any commoner (we cannot now rightly call the Littlejohns 'commoners'), take action to exclude the Littlejohns from grazing on the commons — even though they, and their father, have been grazing the commons for decades? 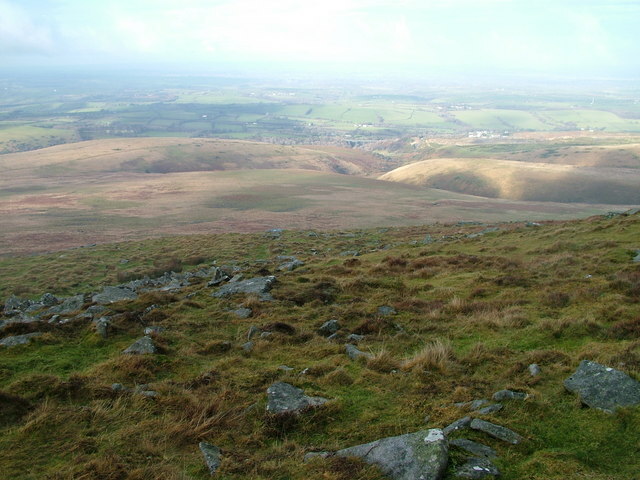 Okehampton Common: Copyright David Brown and licensed for reuse under this Creative Commons Licence. The judgment can also be seen with brief comment from Landmark Chambers: Stephen Whale of Landmark acted for the defendant authority.